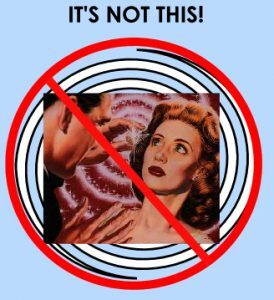 Hypnosis in Cheshire - What's It Like? I WILL NOT make you cluck like a chicken, bark like a dog or act like a Kardashian. I WILL spend some time with you talking about your specific concerns and issues, and come up with a solid plan to help you achieve your goals. You are in control at all times during your session! All of us, at one time or another, have experienced that “spaced out” feeling of getting lost in reading a book and looking up after fifteen, twenty, thirty minutes and wondering where the time went. Or of being in class and realizing you haven’t heard a word the teacher had said for the last twenty minutes because you had been “daydreaming”. And those of us who drive have all had the feeling of zoning out, only to be brought back to full consciousness by a honking horn. That’s what hypnosis is like. You were awake during all those circumstances, just sort of “out there”. Your conscious mind was ALWAYS ready to be alert if you needed it to be, and so it is during hypnosis. You AREN’T asleep. You ARE capable of controlling everything that goes on if you need to be. My home office is relaxing and confidential. Together we’ll address all your concerns so you can have a comfortable and effective session. Call or email to set up your Hypnosis in Cheshire session package and get started on achieving your goals!